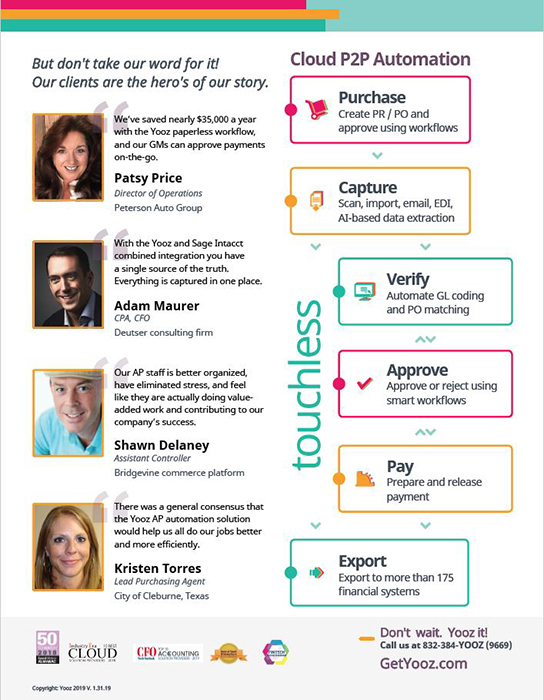 Yooz is a fast-growing, multiple award-winning AP automation company that solves for today’s finance professionals’ top invoice and payment processing challenges by providing innovative, cloud-based AP workflow automation. 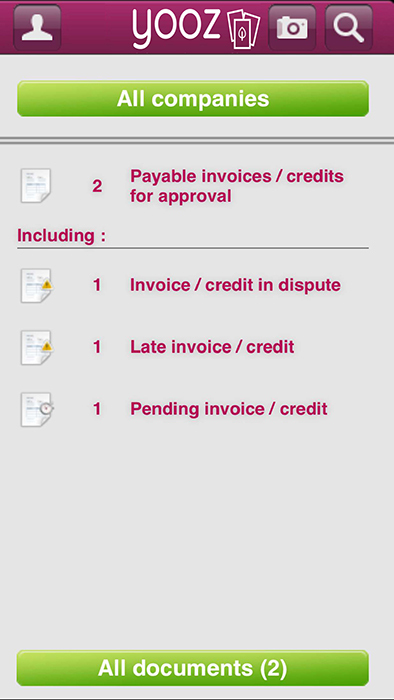 Yooz offers an intuitive, simple, secure, purchase to pay invoice processing solution that integrates seamlessly with more than 200 ERP platforms. It leverages and optimizes powerful features and emerging intelligent technologies that unleash the creative and innovative power of finance teams. Simplicity, transparency, security, savings, and mobility form the hallmark foundation of the Yooz platform and influences everything it does. 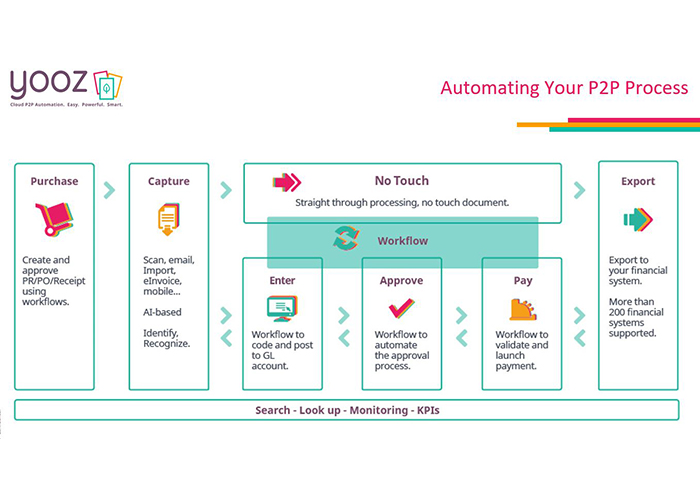 Cloud P2P Automation. Easy. Powerful. Smart.